Barnes marked their return to National Two South with an excellent victory over London Irish Wild Geese. After dropping down to the fifth tier in 2017, Barnes clinched the London and SE Premier title to immediately bounce back to this level and they have begun in the best possible fashion. 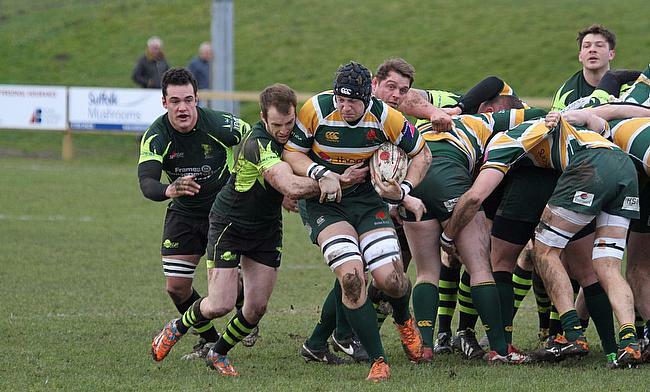 They were the only newly promoted side to pick up an opening day win as Guernsey, Dings Crusaders and Birmingham & Solihull were all defeated by Old Albanian, Redruth and Tonbridge Juddians, respectively. Elsewhere, Taunton Titans thrashed Worthing Raiders while there were victories for Rams RFC, Henley Hawks and Clifton, who won the first Bristol derby of the season. Full-back Alex Noot scored twice as Old Albanian made a winning start in National Two South with a nine-try bonus-point victory over newly promoted Guernsey. OAs, who were relegated from National One in April, had the game wrapped up at half-time after tries from Noot, Dan Watt and Alex Brown, with Tom Bednall adding the extras. Dominic Rice struck back after the break, before Ross Hamilton, Peter Warne, Timothy Bond, Thomson Holdsworth, Bednall and Noot all crossed for the hosts to complete a magnificent start for OAs. Taunton Titans ran in 10 tries to inflict a heavy defeat on Worthing Raiders at the Commsplus Stadium. The Titans, who had been 31-5 up at half-time, continued to run riot in the second period as Worthing were left hapless. Gary Kingdom starred with the boot, while centre Nick Mason scored four times. Jarrard Hayler, Oscar Kolowski (2), Sam Brown, Oli Rice and Ratu Vakalutukali also crossed for Taunton. George Brown, John Lee, Matt Walsh and Curtis Barnes went over on a tough afternoon for the Raiders. Rams RFC kicked off the new season in style with an excellent victory over Canterbury at Old Bath Road. Jamar Richardson, Ben Henderson, Josh Collis and Tom Vooght all went over in the first period to give the hosts a 22-3 lead. Seb Reynolds’s side added three more tries in the second half – with Jak Rossiter getting on the scoresheet – while Canterbury could only manage a brace from Dan Smart. Barnes secured an opening day victory on their return to National Two South as they beat London Irish Wild Geese. Joe Gray’s men, who bounced straight back into this division following relegation in 2016/17, were ahead 14-7 at half-time thanks to tries from Robbie Martey and Andrew Scott, but only after Josh Amadi had given the Wild Geese the lead. Rupert Crossland and Martey went over to give Barnes a 26-7 advantage before Sean Cunningham dotted down to keep the visitors in touch. However, any hopes of a Wild Geese comeback were dashed 10 minutes from time as Tom O’Toole scooted over to secure the perfect start for Barnes. Henley Hawks withstood a mini second-half Bury St Edmunds fightback to begin the new season with a victory. Tries from Sam Randle, Xaiver Andre and Sam Portland put Henley in control. Sam Lunnon and Joe Butler also crossed for the away side in the second-half but Bury scored three times following tries from Nicolas Perez and Tuidriva Uru in the first 40. Patrick Robinson, Finlay Sharp and Cameron Ritchie went over in the final quarter for Bury, but it was too little too late for the Suffolk outfit. Redruth came through a tough assignment against newly promoted Dings Crusaders to secure an opening day win at Shaftesbury Park. Matthew Smith’s try put the Crusaders, who are back in National Two South for the first time since 2015, ahead after 22 minutes. Redruth’s scrum-half Jack Oulton crossed shortly after half-time to make it 7-7. Ashley Challenger restored the home sides’ seven-point advantage on 51 minutes, but Ben Fox and Nielson Webber touched down as Redruth gained control heading into the final quarter. Penalties from Aaron Simmonds and Richard Kevern sealed the win for the Reds, before Ben Bolster landed a late consolation penalty for Dings. A late penalty saw Tonbridge Juddians beat National Two South new boys Birmingham and Solihull at the Slade. TJs, who finished in a very credible sixth place last term, took the lead through centre Robert White before tries from Toby May and Finlay Coxon-Smith gave the hosts a 17-7 advantage at half-time. Dan Kelly had crossed for the visitors in the first period and the Bees sprung into action after the interval as scores via Marcus Brown and Matthew Dight made it 19-19 heading into the final 10 minutes. And the decisive moment came from the boot of William Robinson as he slotted over a penalty to secure a winning start for Peter Dankert’s men. As for Birmingham, they have now moved on to -4 points after picking up a losing bonus-point in Round One. Pete Glackin’s side were deducted five points before the season started after they fielded a player -at the end of last term – who had been sent off before he had appeared before an appropriate disciplinary panel. The sanction was handed down by North Midlands RFU. Clifton began the new National Two South season with a narrow victory over West Country rivals Old Redcliffians. Tries from Alex Kilbane and Jermaine Jones put Old Reds 14-7 up at half time after Henry Harper had opened the scoring for Clifton. Alex Giltrow crossed on 50 minutes to tie the game up before Brad Barnes’ penalty clinched the victory for the Lavender and Blacks.